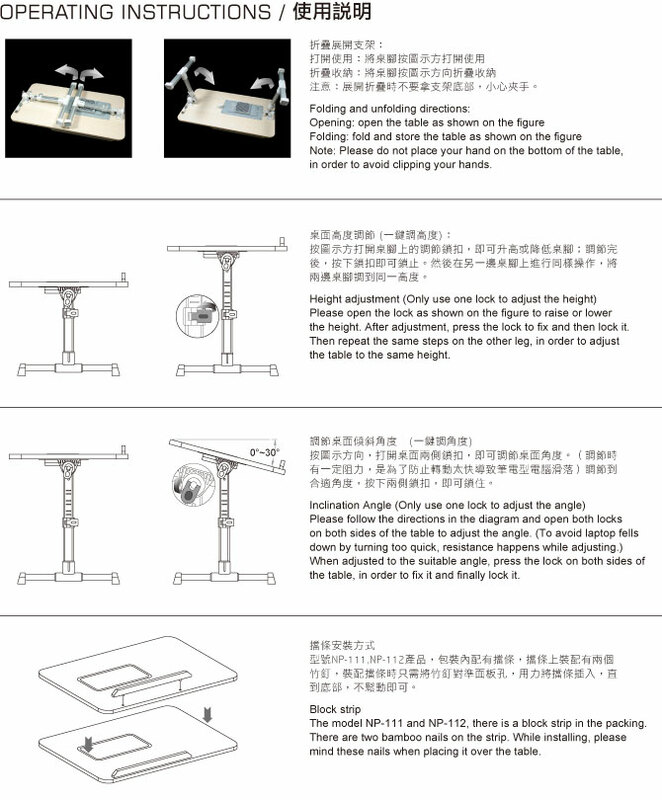 YOHO Laptop Table provides two types of tables: NT-111 and NT-112 models. NT-111 has one 8cm fan to provide a silent and effective cooling for laptops. Its retractable metal frame makes its legs easy to fold or extend. The ergonomics design allows users to adjust heights and angles to provide a greatly comfortable use.Depending on using environments, the good design of YOHO allows users to use it on the bed, sofa or on the ground. • Ergonomics design allows the user to adjust the height and angle to provide a comfortable use. • Its good design allows the user to be use this table on the bed, sofa or on the ground. • This table has been made of environmental high-density fiber with aluminum holders, making it light and stable. • Table legs can be folded, and there is a USB power cord space on the bottom of NT-111 to store your USB cables. • NT-111 has an 8cm fan to provide an efficient cooling performance.